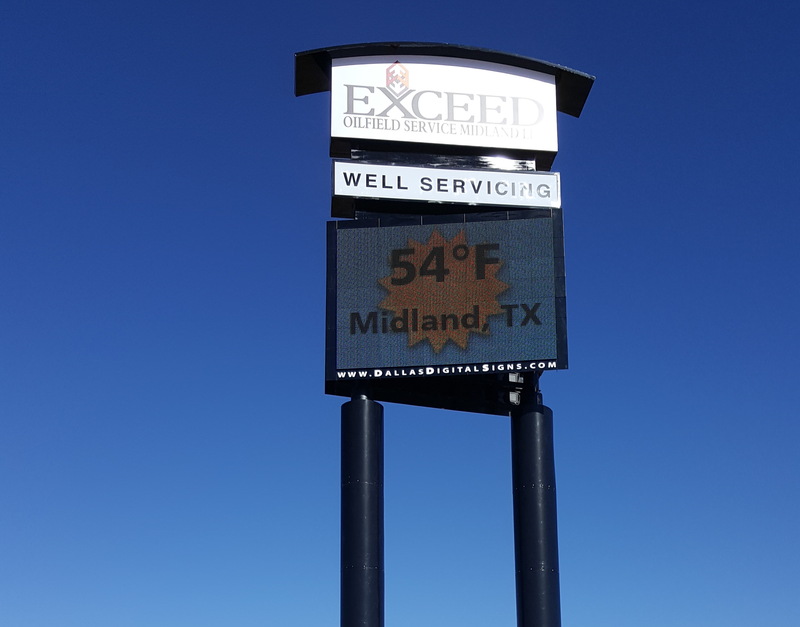 Dallas Digital Signs & Graphics recently completed a large LCD pylon sign for Exceed Oilfield in Midland, Texas. The project came to Dallas Digital Signs through a Google search by their customer. After agreeing on a price and flying out to Midland for an inspection, Dallas Digital Signs began the project. They were tasked with manufacturing and designing the large sign, of which only the excavation and concrete were outsourced. Dallas Digital used Cirrus for the digital panels, while fabricating and installing every other piece of the sign. The most challenging part of this project was the need to drive seven hours to Midland twice for delivery and installation. After three months of work, Dallas Digital Signs brought in a total revenue of $145,000 from this project.